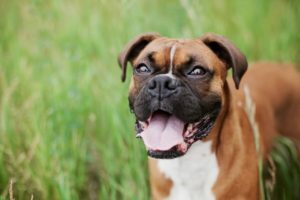 Home » Dog Breeds » Is a Boxer Right for You? One of America’s oldest and most popular breeds, the Boxer is a dignified dog known for its spunky personality and beautiful brindle coat. Currently ranked 10th most popular dog breed in the United States, there is no shortage of Boxer puppies. But, is a Boxer right for you? Boxers are intelligent, fun-loving, and active dogs. 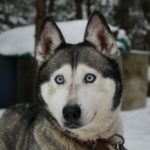 They are patient with children, yet also spirited and protective, and make great family pets for these reasons. Boxers can be stubborn animals that are prone to boredom, so care must be taken to ensure these pets are properly exercised and mentally stimulated. A medium-to-large breed, Boxers weigh 55 – 71 lbs and stand 21 – 25’’ tall at the shoulder. Two colorings are accepted by the American Kennel Club: fawn and brindle. White Boxers are also fairly common, representing approximately 25% of all litters. However, white Boxers are commonly deaf, and most breed organizations do not recognize this coloring. For fawn and brindle Boxers, three types of markings are allowed: a black mask, a black mask with white markings, and white markings. The Boxer’s coat is short and smooth, requiring little maintenance. While 95% of American Kennel Club members agree that Boxers do well with other pets, proper socialization is required to ensure these headstrong dogs avoid dominant tendencies. In addition, some Boxers are cat-chasers. Due to their stubborn natures, boxers should never be allowed to believe they are the “alpha” among the household pack. As with all dogs, boxers require training in order to be well-behaved members of the household. Also like most dogs, Boxers do best with positive-reinforcement training, and can become either timid or aggressive when aversive techniques are used. Some Boxers can develop separation anxiety, so it is important to mitigate these tendencies from an early age. Boxers are highly active dogs and their caloric needs will reflect this aspect if exercised properly. 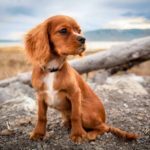 However, Boxers should appear lean and sleek, which means good-intentioned dog owners may mistakenly believe their pet is underweight, leading to overfeeding. Boxers should be fed a high quality diet that is rich in protein, and optimum body condition should be continually monitored. Boxers require appropriate exercise; however, as a brachycephalic breed they cannot be over-exercised. Due to their short snouts and “scrunched” faces, Boxers are more likely to develop heat stroke and exercise intolerance. Long walks, short runs, and vigorous play sessions in moderate temperatures are all excellent forms of exercise for this breed. Boxers are prone to a couple serious health problems including cancer and heart conditions. According to the UK Kennel Club, almost 40% of Boxer deaths could be attributed to cancer, such as mast cell tumors. 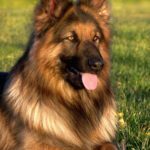 Additionally, cardiac problems such as aortic stenosis and arrhythmic right ventricular cardiomyopathy are common among this breed. When purchasing a boxer from the breeder, ensure proper genetic testing has been performed. Despite these health problems, healthy boxers can live up to 15 years. 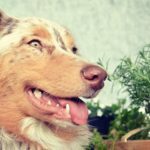 «Why Do Dogs Eat Grass?